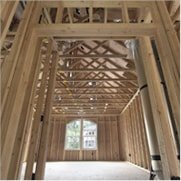 We are the remodeling contractor you can depend upon to deliver innovative, quality home improvements that fit your style and sensibilities. Fall in love with your kitchen. The kitchen is the heart of a home, where days begin and family and friends congregate. Nowhere else in a home is design, convenience and beauty so integrated. 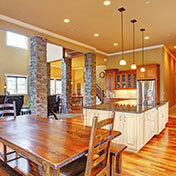 We can help you realize your kitchen dream, and turn your kitchen into an efficient, beautiful space to enjoy. Whether you are planning an all-new kitchen, increasing storage and efficiency, or styling a beautiful workspace, you can trust us to get the job done. We take pride in providing a clean work environment and working efficiently so that construction doesn’t prevent you from getting dinner on the table. 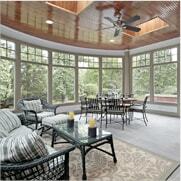 Every home needs a restful oasis from the demands of the day. Transform your bathroom into a destination with a relaxing, spa-like atmosphere. Let us help you combine form and function to create a room with sensual textures and stylish organization. 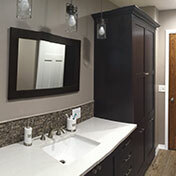 We can help plan your improvement to maximize the comfort and beauty of your finished bathroom. Maximizing your living space and planning for guests could be as simple as walking down the basement stairs. 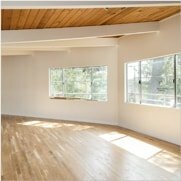 This often neglected space has enormous potential for hosting cocktail parties, game nights and play dates. 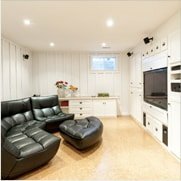 Finishing a basement is a budget-conscious alternative to a large addition, while making the most of your home’s space and resale value. 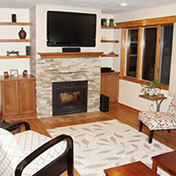 Welcome guests and create a retreat for the whole family with the flexibility and open feel of a refinished space.